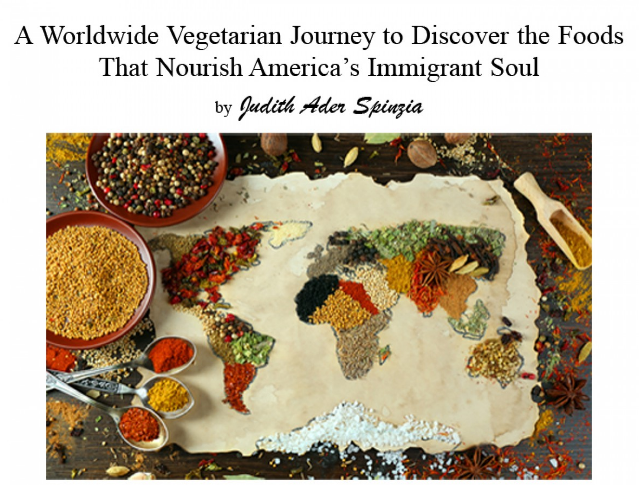 Born in Rochester New York, just before the beginning of World War II, Mrs. Spinzia has seen a dramatic change in the eating habits of Americans extending from the days of rationing to the days of fast foods. Her travels have exposed her to the world beyond our shores and her journals have preserved her observations. From Rochester her family moved to Long Island where she did her undergraduate and graduate work, married, and taught biology at Adelphi University. It was at this point that the Spinzias chose to become vegetarians and the journals expanded to recipe research. After their daughter was grown, the Spinzias began to teach courses on Long Island history; they write and speak, jointly and separately, on a variety of Long Island-related subjects including the North Shore and South Shore estates, Louis Comfort Tiffany and the stained-glass windows of Tiffany Studios, the Vanderbilts of Long Island, Long Island’s maritime heritage, women of Long Island, and Long Island’s socialite spies. Together they have published seven books and numerous articles on Long Island-related subjects. Articles and sample pages from their books can be found at the Spinzia’s website . . . spinzialongislandestates.com. Judith Spinzia now resides in central Pennsylvania with her husband of over fifty years and frequent co-author. They share their beautiful flower and herb gardens with three cats.